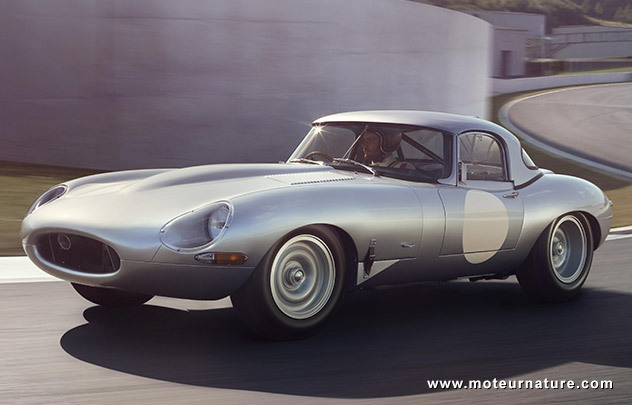 Jaguar built 12 E-Type lightweight models back in 1963. There were racing cars, not concerned with safety or emissions regulations, but those didn’t exist back then. It’s shocking today to see how those race models were close to the production E-Type, save for the all aluminum construction. Jaguar had planned to build 18, it finally decided to manufacture the last 6 which were missing. 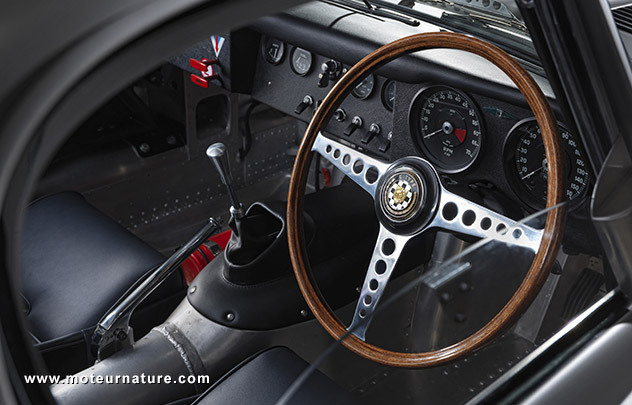 The cars will be mostly hand-built, without any bumper outside nor any airbag inside, but they just look so good with that wood and metal steering-wheel. Under the hood, customers will have the choice of three Weber carburetors, or a Lucas mechanical fuel injection as this prototype. No electronics, no EGR nor anything, and everything can be fixed and tuned with standard hand tools. 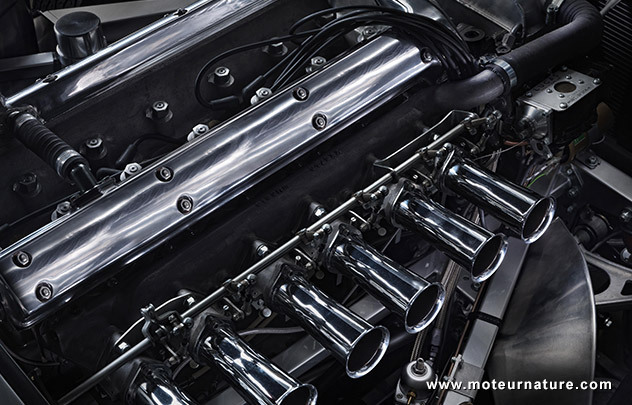 Without a catalytic converter, this car puts out more than 100 times the amount of NOx of an average car of today, but when someone looks under the hood, there’s an excitement no electric car will ever provide. It gets only stronger when the car is started!